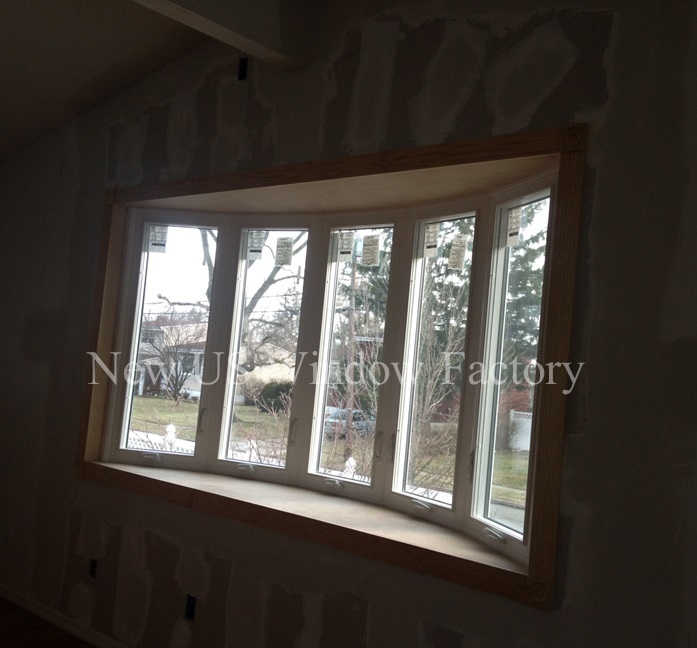 Replacement Window Project 1c | New US Window Factory, Inc. Published February 11, 2014 at 697 × 648 in Specialty Window & Door Projects. Finished Bow Window installation prepared for painting.